After one of the snowiest and coldest Winter in Vancouver, followed by a very wet Spring, Summer is finally here. We have been blessed with sunshine and hot temperatures lately. Along with Summer, usually come higher expenses. Gas prices tend to spike for starters. Then the kids are out of school, you may decide to actually go on a vacation and social invitations are flowing in. 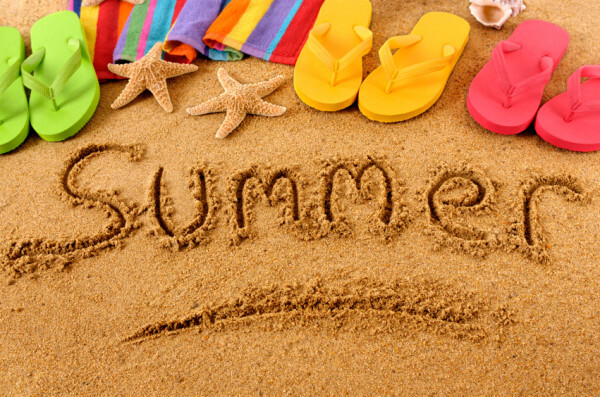 Here are a few tips on how to make the most of Summer without breaking the bank. Just like taxes and death, Summer will always be here, like clockwork . And, just like clockwork, save for it throughout the nine months prior. Planning ahead can lower your costs and even give you discounts, particularly if you are going away. When the weather is better, people tend to go out more and to throw more BBQ parties. It doesn’t mean you have to accept all the invitations you receive. Be a little selective. It is perfectly acceptable to say no. This is the best way to save on eating-out costs when entertaining. Cities and RecCentres always offer low cost or free activities such as outdoor movies or swimming. Libraries also offer reading programs and other crafty activities. It is no surprise Summer is the most expensive season when it comes to traveling. Staying home -or close to- will save you a ton of money. If you don’t have children, travel off-season. If you want to go away, try camping or rent via AirBnB rather than a hotel. You can also take day trips. Summer camps can rake up hundreds of dollars. Coordinate with other parents to take childcare turns. Refer to above point on free and low cost activities. A/C units are suckers for electricity. The last thing you want is a huge Hydro bill. Set your thermostat slightly higher; turn-off the unit when you are away; only use it when it is really hot. The best way to avoid overspending this Summer is to plan ahead and be organized. Doing so is actually fairly simple.